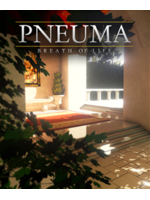 The ontological adventure-puzzler game Pneuma: Breath of Life from Deco Digital is now available on PC and Xbox One. The title is Unreal Engine 4-powered and promess a unique storytelling. Two trailers and a gallery after the jump. ist a nice game, and the game is to short for this price.